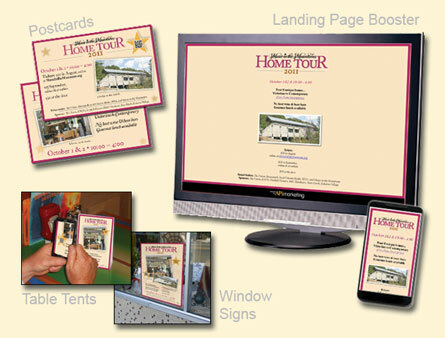 This campaign, promoting a home tour event for Music in the Mountains, featured QR Codes added to print collateral to bring customers to a dedicated event landing page. Utilizing a mobile device optimized landing page allowed the campaign a greater reach, and more flexibility for the viewer. The landing page expanded on the information on the printed pieces, and provided links to the organizations website as well as ticket purchasing options.